I’ve found muffins are a great way to get some extra vegetables into Nicholas’ diet. He can help me make them (which usually results in him eating more of them), they’re an easy-to-eat finger food (and very easy to pop into a lunchbox) and so wonderfully adaptable (you can pretty much throw in anything you have in the fridge!). 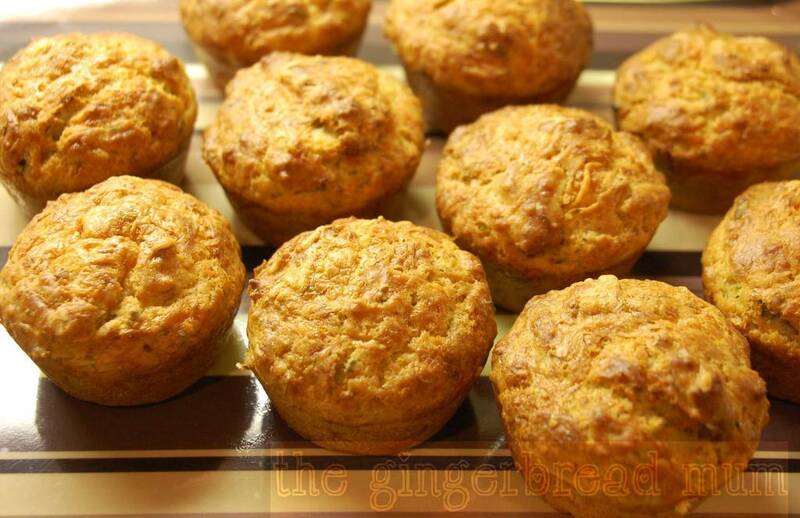 Hugh Fearnley-Whittingstall’s courgette and pine nut muffins intrigued me when I came across them. He makes the point that these flavour combinations work well in a pasta dish and also work in a muffin, which makes my mind wander to other pasta flavours to experiment with in a muffin form. I was also curious to discover if the addition of some oats was noticeable in the end muffin (no, although I used normal-sized porridge oats rather than his suggested jumbo oats). Amazingly for me I didn’t make any changes to Hugh’s original recipe. After tasting them I did wonder about leaving the sultanas out next time, but they do add a lovely burst of sweetness to the other savoury ingredients which I think little people (as well as big people) will like. The added texture of toasted pine nuts also works very well. I’ll be making them exactly the same from now on! Oh and I can confirm that they freeze well. Heat the oven to 200C and line a muffin tin with 12 paper cases. In a large bowl, whisk together the flour, oats, baking powder, bicarb, salt, pepper, basil and parmesan. In a separate smaller bowl (or jug), whisk together the eggs, yoghurt and oil, pour this over the dry ingredients and stir with a spatula until roughly combined – don’t overmix. Add the courgette/zucchini, pine nuts and sultanas, and stir until just evenly distributed. Spoon or scoop (using an ice cream scoop) the batter into the muffin tin and sprinkle over the rest of the parmesan. Bake for about 18 minutes until a toothpick inserted into the middle of a muffin comes out clean. Leave them to cool in the tin for a couple of minutes to firm up before transferring them to a cooling rack. What other yummy pasta flavours do you think would work well in a muffin? 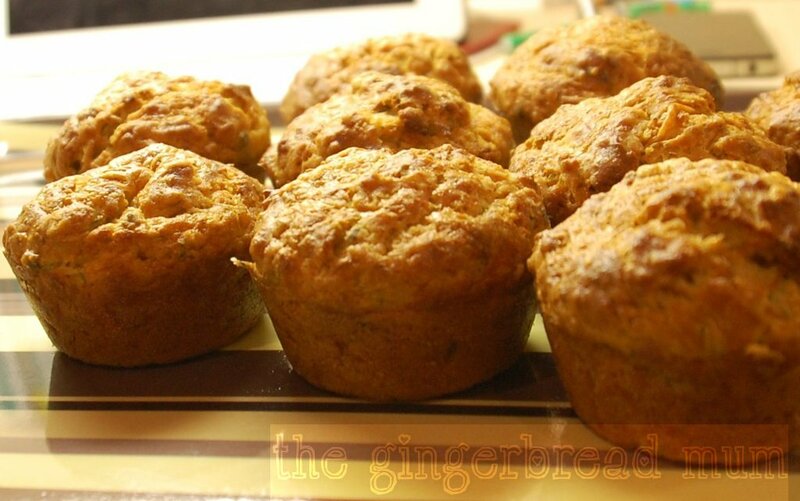 Posted in cooking with toddlers, family, lunch, recipe, snack, toddler and tagged courgette, family, finger food, Hugh Fearnley-Whittingstall, lunch, muffin, recipe, savoury muffin, snack, toddler, zucchini. Bookmark the permalink. This quick and easy pasta dish, ideal for the whole family, is another recipe from Annabel Karmel’s latest book which I reviewed a little while ago. The original recipe uses macaroni, but any short type of pasta such as penne or farfalle would work well. It also uses crème fraîche, which can easily be substituted with Greek yogurt or even soured cream if you don’t have it on hand. The book says this dish is suitable for freezing. It’s not clear if it means you can freeze the whole dish or just the sauce. Either way I’m always dubious about freezing crème fraîche or yogurt when mixed with other ingredients as they have a tendency to separate (the water from the dairy product separating when frozen). I’ve never thought about freezing pasta (and I think Italian hubby would be horrified!). Has anyone tried it? Nicholas is thankfully going through a slightly better period with vegetables (fingers crossed it lasts! 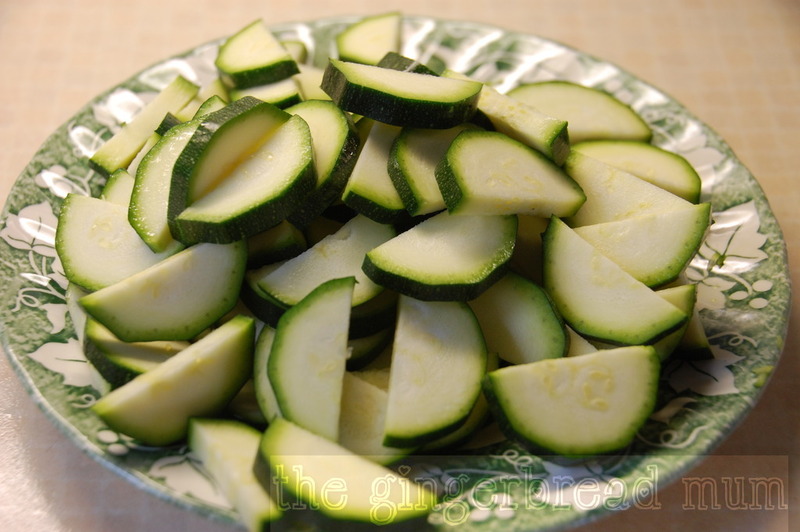 ), but he still picked out a lot of the courgette/zucchini. If you’re feeding this to a fussy eater, dice the veg as small as you can. Cook the pasta in plenty of boiling lightly salted water according to the packet instructions. Drain, reserving 150ml of the cooking water. While the pasta is cooking, dry-fry the bacon for 2 minutes in a non-stick frying pan. Add the courgettes and fry for another 5 minutes until they are soft and lightly golden, then add the tomatoes and chives. Add the pasta to the frying pan with the reserved water, crème fraîche and parmesan. Toss together over the heat for 2 minutes (be careful not to let the crème fraîche split by heating it too much). Add seasoning if desired, then serve. 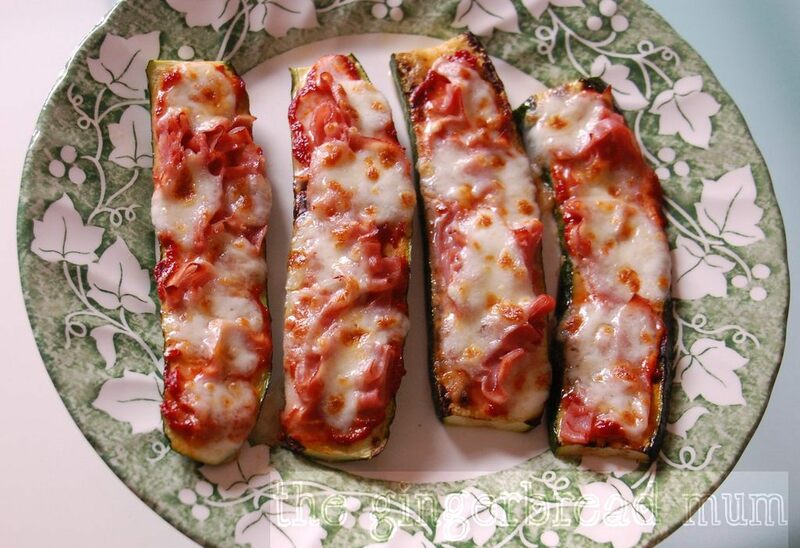 Posted in dinner, family, lunch, recipe, toddler and tagged Annabel Karmel, courgette, dinner, family, lunch, pasta, pasta recipe, Quick and Easy Toddler Recipes, recipe, smoked bacon, toddler, whole family, zucchini. Bookmark the permalink. Nicholas loves being in his kitchen pod, up where all the action is happening, and today as soon as he was in it he started chanting ‘Cook! Cook! Cook!’ Mummy couldn’t have been happier! Up until now, we’ve just made biscuits together, either my chewy oaty biscuits or a variation of them. I thought it was time to try something savoury, something Nicholas could have as a proper meal rather than a treat. Looking through one of my favourite mummy foodie blogs for inspiration, Gourmet Mum, I knew Filipa’s muffin recipe would be perfect. I made very few changes to Filipa’s recipe as it’s fantastic as it is. She uses dried as well as fresh herbs, but I just used fresh, and I sprinkled some grated parmesan over the tops of the muffins before baking for an extra crispy cheesy top (What makes cheesy muffins taste better? More cheese!). If you’re making these with little ones, prepare everything beforehand so they’re just pouring and mixing. Older children can do more of the preparation, especially weighing and measuring the ingredients. The muffins are wonderful for lunch (you can serve them with some raw vegetables) and would be great for brunch or packed in a picnic basket. And if you’re not a vegetarian, they’d be delicious with some pieces of cooked ham or bacon in the mixture. Preheat the oven to 200C. Either lightly spray a 12-hole muffin tray with cooking spray or line with paper cases. Mix the white and wholemeal flours, baking powder and grated cheese in a large bowl. 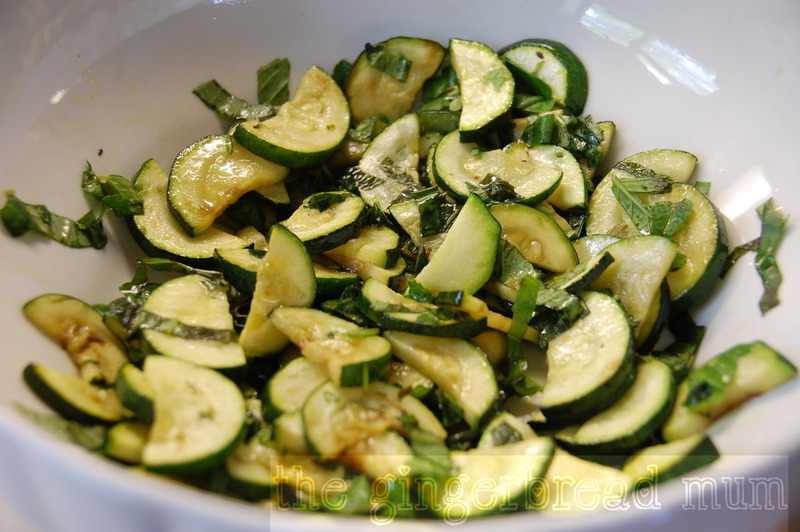 In a separate bowl or jug, combine the courgette, eggs, milk, oil, herbs and salt (if using). Add this to the flour mixture, mixing until just combined (mixing as little as possible keeps your muffins light in texture). Divide the mixture evenly between the 12 muffin holes. Sprinkle the grated parmesan over the tops of the muffins. Bake for 20-30 minutes until golden and cooked through when tested with a skewer. Tip out onto a wire cooling rack. Add a handful of chopped cooked ham or bacon to the muffin mixture. 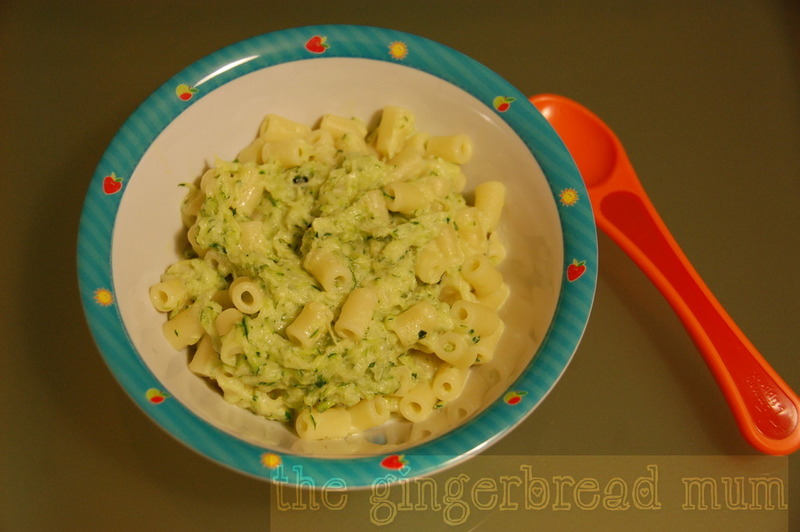 Posted in cooking with toddlers, family, lunch, recipe, snack, toddler and tagged cheddar cheese, cooking with kids, courgette, family, finger food, Gourmet Mum, lunch, picnic food, recipe, savoury muffins, snack, toddler, vegetarian, zucchini. Bookmark the permalink. It’s well and truly time for another pasta sauce recipe, and I love one that you can make in about the same time as the pasta takes to cook! 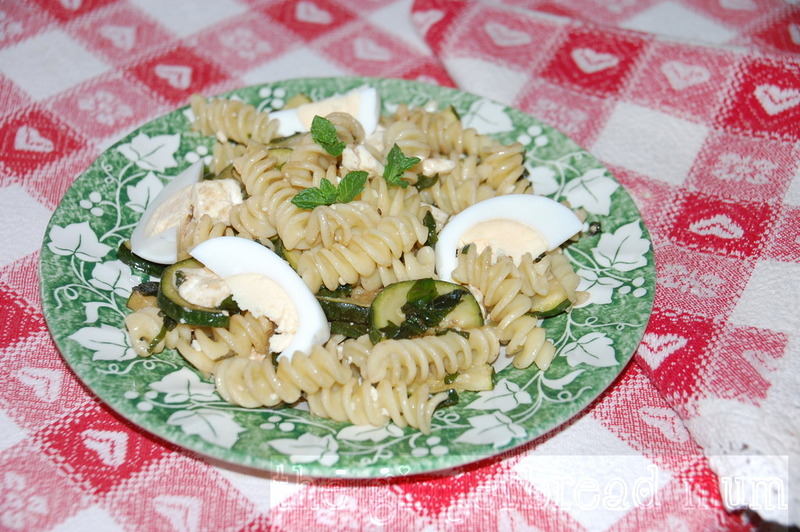 The flavours for this sauce were inspired by my herby courgette pasta salad. There’s something very fresh about mint and courgette, and the basil gives a deeper flavour so the mint isn’t too sweet. And the yogurt brings it all together, ready to be mixed through some lovely pasta. It’s perfect for every member of your family. Babies can have the sauce and pasta pureed together, or have the sauce over baby pasta. Adults will probably want a bit more seasoning than toddlers. Here’s to cooking one meal for everyone! In a medium-sized frying pan, heat the oil and butter over a medium-low heat. 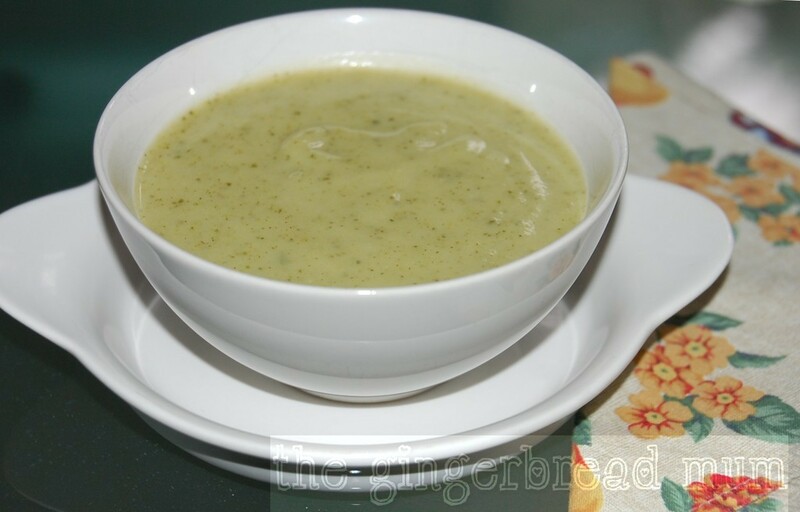 Once the butter has melted, add the grated courgette (seasoning if using) and cook for 2-3 minutes, stirring continuously. Add the mint and basil, and cook for another 2 minutes. Take the courgette mix off the heat and stir through the yogurt. For babies, purée the sauce and pasta together until smooth, or serve the sauce over baby pasta. Tip: if you want to freeze this sauce, don’t add the yogurt. After defrosting the sauce, add fresh yogurt once you’ve heated it. Do you have any recipes that are perfect for the whole family? 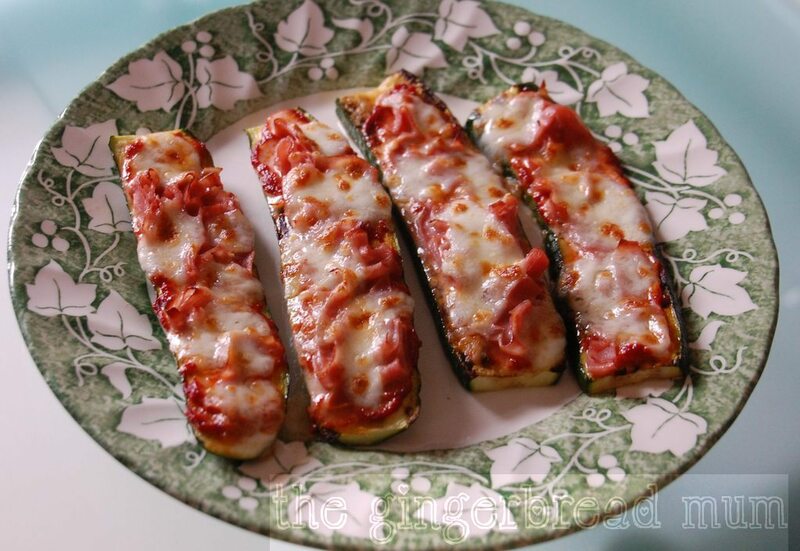 Posted in baby, dinner, family, lunch, recipe, toddler and tagged baby, courgette, family, pasta sauce, recipe, toddler, vegetarian, zucchini. Bookmark the permalink.